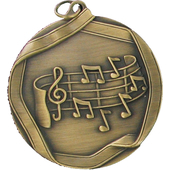 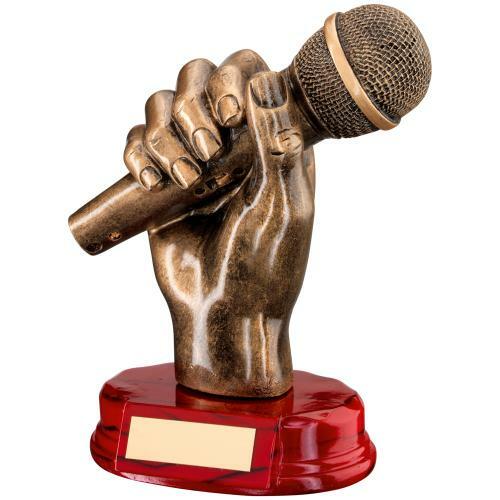 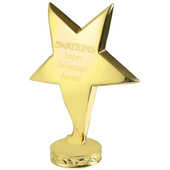 A bronze & gold finish trophy with microphone in a hand. 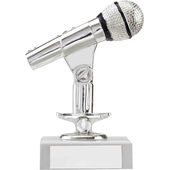 Ideal for any music or singing competition. 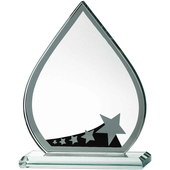 Stands on a wooden base which is perfect for an engraving plate.